The third European DXN Leader Convention also named as III. 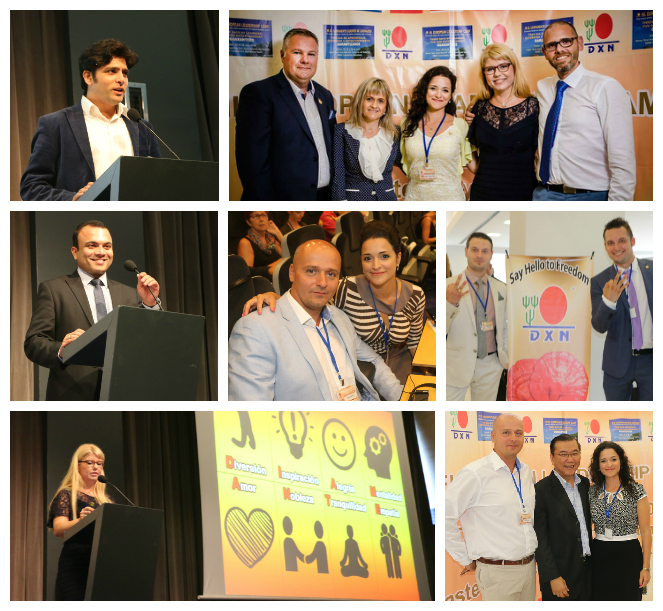 European DXN Leadership Camp. 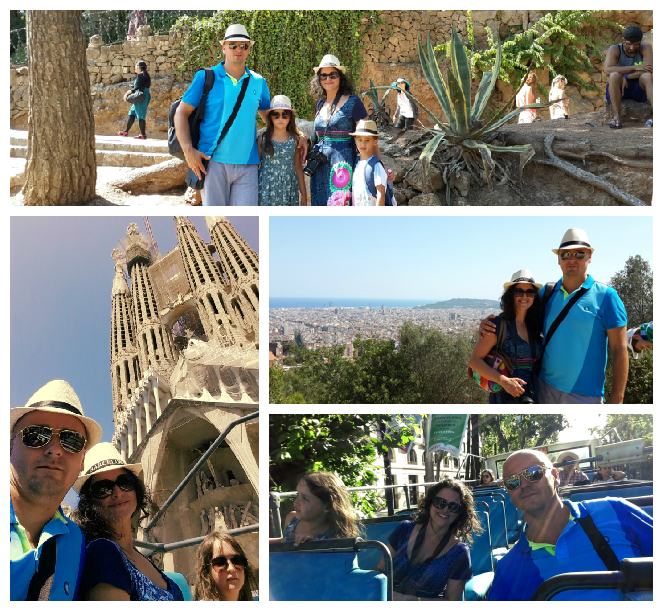 We departed on June 22 by plane to Barcelona with our children. On the first day, we travelled to the center of Barcelona (an approximately half an hour trip by train from Platja de Castelldefels where we our accommodation was), and travelled around the city on a tourist bus ride, stopping by several major sights to take a better look around and admire the sights. On the third day, DXN leaders were arriving one after the other already from Europe. 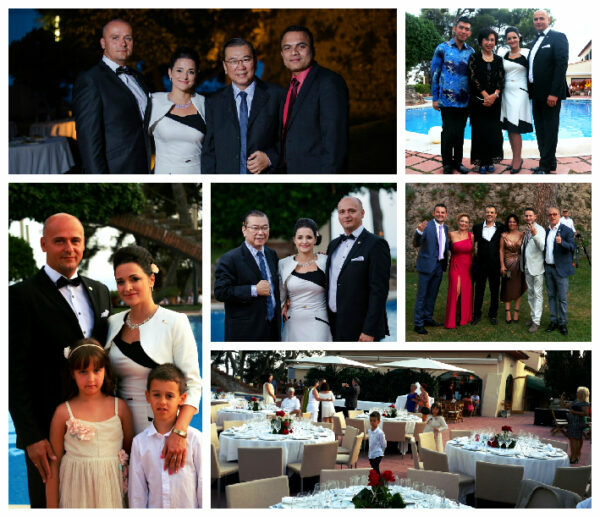 Papp Andrea and her husband, Alfredo, the biggest DXN Diamonds in Spain, and my teammates also arrived. It was great to embrace each other once again, and have a good talk while the others swam in the pool. The host of the event, Rajesh Savera, Jessica the Spanish country manager, Mr. Jijith the international head of marketing and Dr. Lim, the president of DXN all held their welcome speeches. Andrea held a magnificent presentation. She told their DXN story, all the effort their journey took, and what the secret to their success is. She presented great examples of how to communicate well with others in order for them to understand the true essence of our business. I am mighty proud of her. 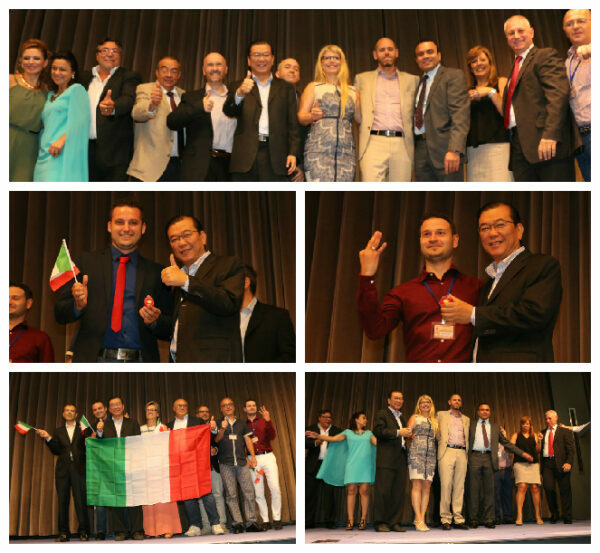 Where they got to, what they did and what they constantly do for their team and for DXN Spain is remarkable. I was touched by her presentation several times, because I know what great effort lies behind these successes and it is indeed great pleasure to see how they live now, that their life is as they always dreamed of. These are what matter. They held their presentations in Hungarian, which was translated to English on stage, after which they were translated to the given languages in simultaneous translation by conference interpreters. They both shared honest thoughts with us, and the subject touched us specially, seeing as, from the first of August, we are both full-time DXN entrepreneurs. …Who told us where he came from and what he managed to achieve with DXN. It was interesting to hear all that he could do with DXN and thanks to him, what his team mates could achieve in a completely different culture and under completely different conditions. Today, his team counts more than 120,000 people. Along with our Spanish team, two of our Italian team members were also present. Manuel, our 4th diamond, and his team member, Angelo. I took several pictures of them, and with Jane Yau, Dr. Lim and other leaders as well. On occasion I uploaded them to our own Italian motivational Facebook group of our team. They were really happy that this way, they could somewhat be a part of this experience. These products then can be the ingredients of delicious soups. This will be a great opportunity, because there is always demand for quality food, and the acquisition of quality ingredients is harder by the day. Special cooking pots will also be made, furthermore trainings will be conducted on healthy nutrition. This is great innovation on behalf of DXN, as the consumption of healthy food truly is vital to everyone. We could taste this soup at the convention and could touch and smell the dried version of the ingredients. The aroma was lovely. 11:20 AM – 12:30 PM – Dr. Asma – Are we comitting suicide at cell level? From 13:00, several European leaders spoke in a few minutes, followed by Dr. Lim presenting pins to the newly qualified from every country. Following this, we all changed into beach and leisure clothing and took a bus to a sea-side hotel, where we had a delicious lunch, then formed international volleyball teams (two Hungarian teams finished in the first two place – we congratulate them! ), and others took a swim in the sea. It was great to share the happiness, enjoy ourselves and the joys of the beach together. At the end, many started singing and dancing on the beach. We were truly relaxed! Questions could be submitted to Jane on paper, and she chose some from the pile, which she explained extensively, illustrated with images, and made recommendations. She will send her experiences by e-mail to the rest of the people. Pavlos held a remarkable presentation in English. He recited great quotes from Dr. Lim, Jane, Kocsó László… and along with these, he shared his own story, his own thoughts, and what effects these had on him. Greece is not in an easy economic and fiscal position, but people don’t deny themselves DXN products at first. Though there is some relapse in sales, as the crisis shows its effects, but this relapse is not significant. Then, after a brief break, the presentations of the European diamonds ensued, including my 10 minutes English language presentation. It was a great experience to share these thoughts, and I was truly happy for the positive reinforcement I got after it. Many congratulated me. Our Italian diamond also held a presentation, which you can view in English translation below. We are truly proud, he spoke well and confidently, and shared great thoughts with us. In summary, the Third European DXN Leader Convention was a great experience, and gave us much. Watch my short account of my experiences in the video below.